Hello ladies, I hope you’re all doing well and I hope you’ve enjoyed this extra day that only comes around eveRY four years! I’ve been pretty productive, taken some blog photos, been to the gym and spent some time with the family too. 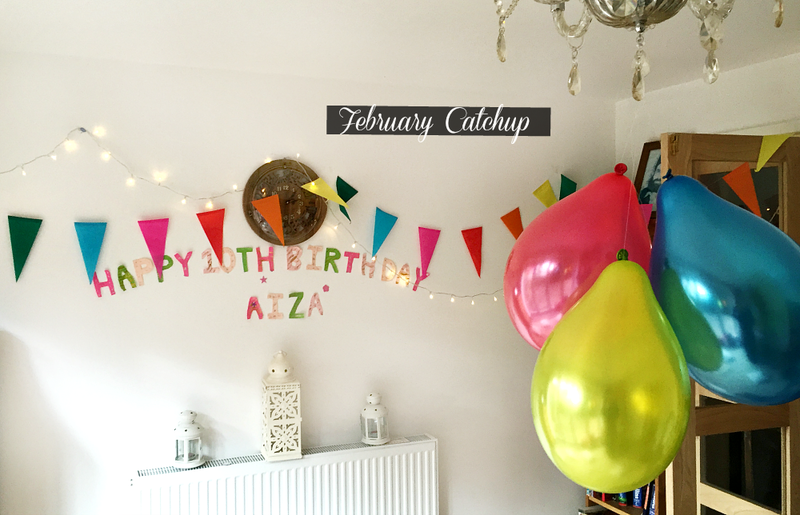 Today I am writing my monthly update/catchup post and I have to say that February has been a pretty great month overall (Alhamdulillah - thank God). After a tough January I feel like I deserved a nicer month to follow! 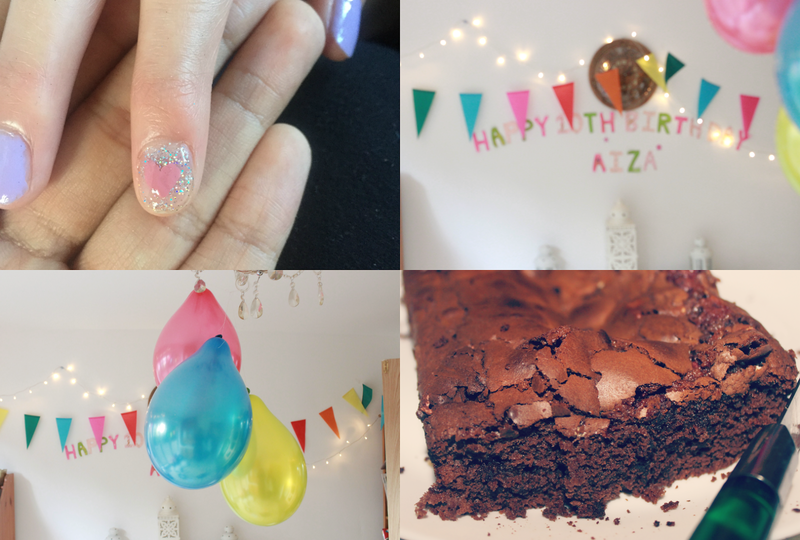 For Aiza’s actual birthday I decided to make her a nutella brownie cake, which was so easy to make, it seriously took me about 10 minutes (not including the cooking time ofc). Although I typically prefer a gooey type of brownie over this more cake like texture, it still tasted yummy. The recipe for this easy nutella brownie is here (it does say gooey but it’s not really in my opinion). The saddest thing that happened this month was my 50mm lens falling and breaking! The middle part fully fell out and although I tried so hard to twist it and click it back into place there was no fixing it. I purchased that lens in 2014 and it was a mere £50…now it is around £90! So gutted! However all is not lost, within an hour I found a kind of dupe which I did research into and it has very very positive reviews. It has been dispatched, so I shall keep you all posted when it comes and if I think it’s as good as the canon version. This month I have become slightly obsessed with Banana Tree, it is an indo-chinese restaurant and much to my surprise all the meat there is halal! So of course I was very excited to try it out and I adore the flavours, as coming from a south-asian household I’m used to spicy food and eating Indian curries or nandos chicken or even pizza is all well and good. However being able to experience a different type of cuisine has been so exciting!! 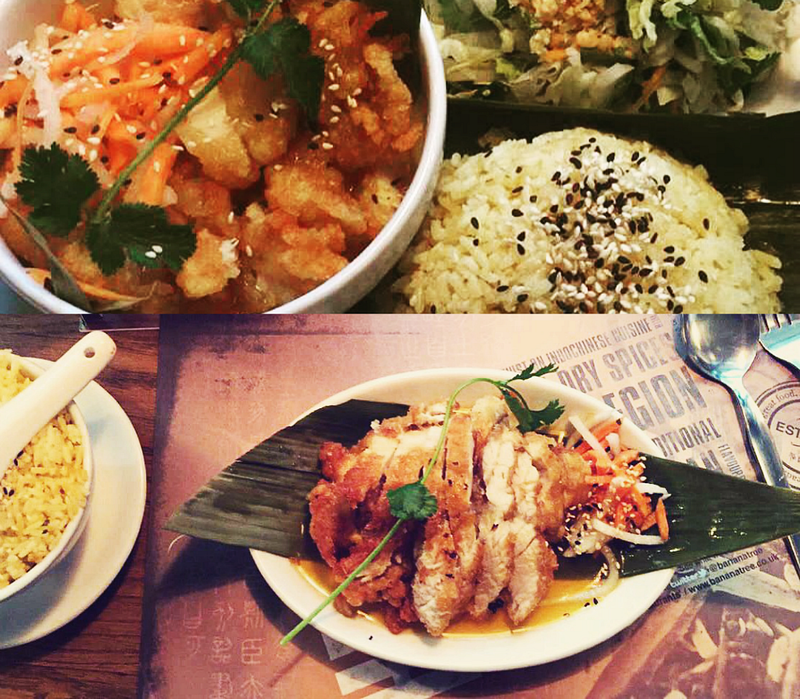 I LOVE the sweet and sour crispy chicken dish, the flavours are delicious and it makes such a nice change from my typical eating out places. It has been a real treat discovering this place. The weekday lunchtime menu is very reasonable too, so student friendly and the variety is amazing...as you may be able to tell I cannot wait to go back! In February I also went to see a movie in the cinema after months and months and of course it was deadpool! I had watched a Ryan Renolds interview on a chat show and seen the sassy trailer several times too. The film was pretty good, I’d give it an 8/10 it had a lot of fighting in it (in classic marvel style) with a lot of laughter, but there was also a good story line too. I kind of think it should have been an 18 rather than a 15 (yes, that was a bit grannyish but there you go). I also rewatched The life of Pi with the family and it is such a good film, but yes the book is 100X better! I read it when I was 14 and I remember not understanding a few of the words but still being blown away by the description and how the author kept me so hooked on a story about a boy on a boat. Amazing, highly recommend!. 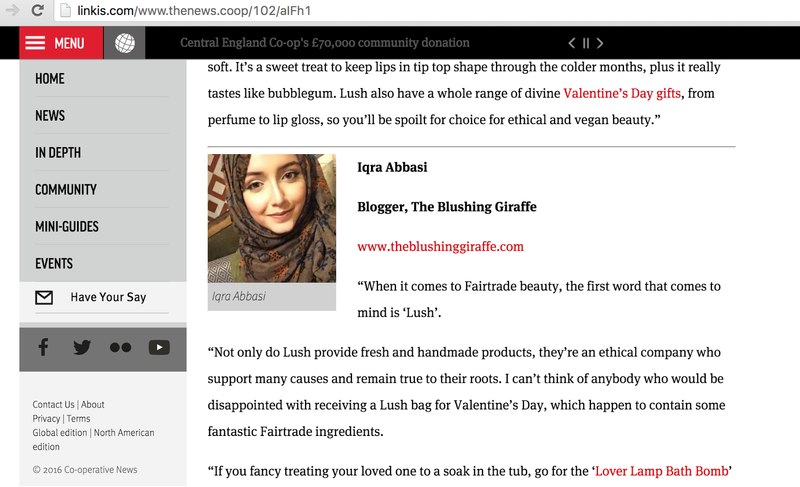 A super exciting part of my month was being asked to write for the Valentines addition for the Co-op magazine online! They wanted an ethical blogger to suggest some fair-trade or ethical gift ideas for valentines and of course I was delighted to contribute. This is by far one of the most proudest moments of my blogging journey so far and the giddy excitement was totally real ^_^ To have a read of the whole article, please click here. The game I have been obsessed with this month is SNAKE! Yes it is the exact same version that we all had in those little unbreakable Nokia phones (or if you were like me, you’d always borrow your dad’s phone and run off to try and beat your highscore). I randomly saw a graphic of the old school snake game and decided to search on the app store. 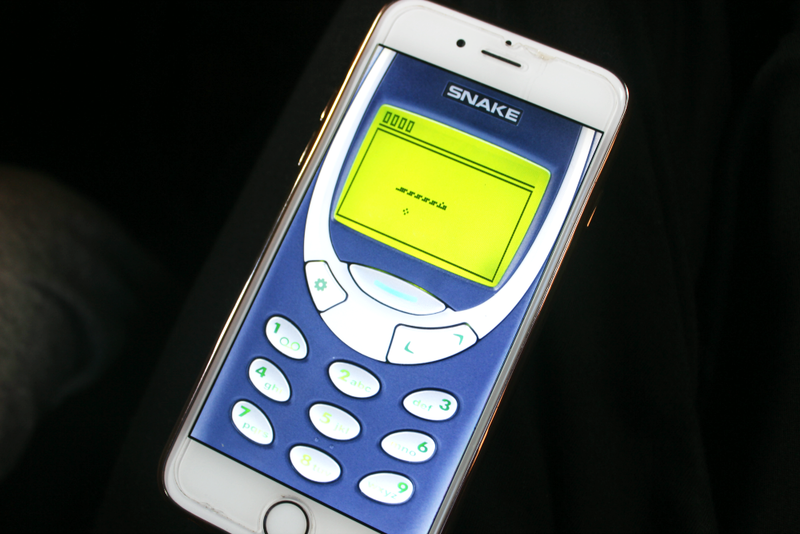 Some genius created this game free of charge and not only can you play the original snake game, but you can actually choose what model of phone you want too! How fun is that? Some of the models are even a bit scuffed up which makes it more of a throwback to the real thing. My highscore is 587 and I am showing no signs of getting over this obsession. I mean just look at that snake up there, it's exactly like back in the day and the game is just as addictive, despite the lack of colour, graphics and characters! If you miss that game I highly recommend you download the app, there’s something so satisfying about not bumping into your tail (the simple games are the best haha). Finally I have been so excited for the whole past week that in the U.K we can now get Marc Jacobs!!!! YAAAAS No more Sephora orders for the brand and the prices are very good too. I’ve put together some screenshots from my phone of items I’ll be picking up this summer ^_^ I will definitely have the review for the #instamarc duo up very soon for you all, but yay! 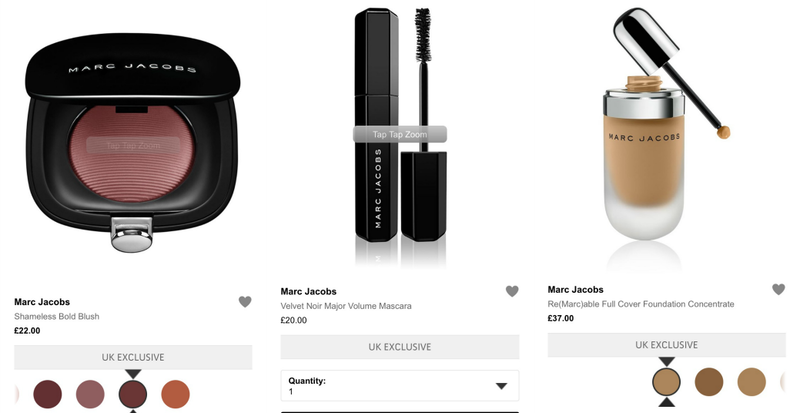 Thanks to Harrods we can now purchase Marc Jacobs makeup and the new mascara and foundation is most definitely on my to buy list! Uni wise I started collecting data this month and thanks to the power of social media and YOU wonderful people I got over 100 participants in 24 hours, so thank you so much if you took part! I also got a pretty good grade in one of my assignments which has really helped to motivate me for March because I have an insane amount of stress and pressure coming up. I know that February has been very review heavy here on theblushinggiraffe, but I promise after April/May I will switch it up, I’m doing my best for now with a very limited time schedule! Also a lot of posts for March will be scheduled in advanced, not the LOTW ones of course or the update but any others will be written in the next two days and scheduled. I will also reply to comments collectively after my dissertation is duo, which is near the end of April. That is kind of upsetting because I love being on top of my comments, but having so much going on in final year means some things will have to wait - I hope you all understand and please don’t stop commenting I’ll still be reading them and they’ll still be keeping me smiling through the stress!! Get each assignment ready to submit two days before the deadline! This is something I’m rubbish at doing, but I know it could be the difference between a rubbish grade a good one. Also I really need to face one of my biggest fears (SPSS) which is data collection regarding my dissertation - terrifying but it must be done. Last month one of my aims was going to the gym consistently and to be honest I’ve decided getting to the gym once a week for the next two months is good enough for me because I feel EXHAUSTED after a tough workout! So I need to take it a little easy and get my head in Psychology journals, I’ll step it up after the bulk of uni pressure is done. How has your February been? Have you watched any good films recently? What is your all time favourite restaurant? Beauty Bay Haul | Zoeva, Morphe & Makeup Geek!